This 10oz Diner Mug with our signature hat on one side and the following quote on the back, is a must have on the trail or in the garage. "Love everything you can. 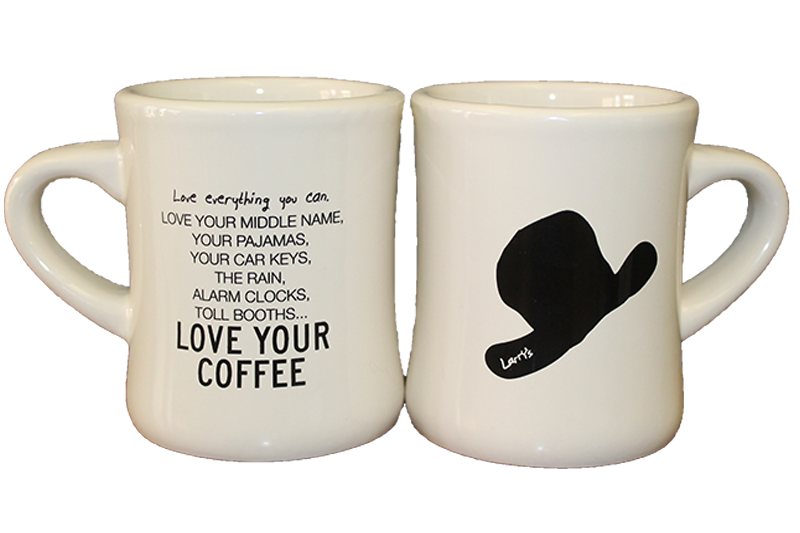 Love your middle name, your pajamas, your car keys, the rain, alarm clocks, toll booths...LOVE YOUR COFFEE!"